Calling all collegiates! Going to school, being involved, having a social life, and working are all so hard to do at the same time. Oh, and look at your bank account? We’d rather not. Need a way to get some easy money or discounts? Try downloading and using some of these apps to reap awesome rewards! This app is ideal for college students. It is designed to calculate your location so it knows if you are on campus or not. While in class or studying in the library, you can open the app and will then be prompted to lock your phone. As long as your phone stays locked and you stay in that location, you will be earning pocket points. These points wrack up quickly and can then be redeemed for discounts at local stores and restaurants, as well as access codes for online shopping discounts! The only downside? It knows if you’re actually in a class building or not. No earning points while asleep in your dorm room, sadly. Every company wants to work to be better, have better products, and gain better revenues. The best way for them to do this is to get honest feedback from people who have used their products or services before. This app will have you answer surveys based on your past experiences. With each survey, you gain different amounts of points. Those points can be redeemed for gift cards to places like Amazon, Walmart, Target, and more! Have plenty of awesome pictures on your camera roll? Get paid for them! Upload your pictures of your choice to this app, give them tags such as outdoors, beach, and college, and yours can be selected for different albums companies will buy. For each purchase of your photos, you get $5 just like that! This app is similar to SB Answer in that you fill things out and earn money! The app will give you different things to test out and give feedback on, then earning you cash right then! Love to shop? Get rewarded for doing so! On this app, all you have to do is take pictures of your receipts from shopping to earn points. Those points are then used to select what gift cards you want! Shopkick is another great way to get rewarded for shopping, but you don’t necessarily have to spend money to use it. 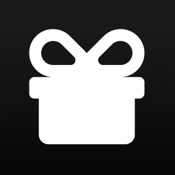 Shopkick will give you a list of stores near you to go and earn points. Some places have “walk-in kicks,” meaning you get points just for going into the store. Others have a list of items the app wants you to scan throughout the store, and some of those items can be purchased and proved on your receipt for some bonus points! These points can then also be redeemed for gift cards.